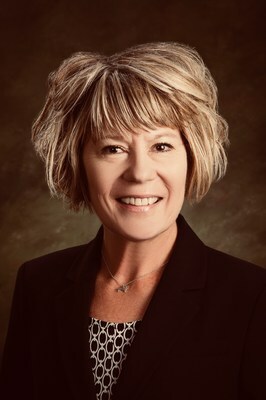 CARMEL, Ind., Feb. 4, 2019 /PRNewswire/ -- CNO Financial Group, Inc. (NYSE: CNO) announced today the appointment of Cheryl L. Heilman to the position of vice president and president of Bankers Life Securities, Inc. (BLS) and Bankers Life Advisory Services, Inc. (BLAS). In this role, Heilman will be responsible for driving the strategic growth agenda of both the retail broker-dealer and registered investment adviser businesses, BLS and BLAS respectively, with collectively over $1 billion in client brokerage and managed assets. She will report to Scott Goldberg, president of Bankers Life and Casualty Company. "Cheryl has spent most of her career in the broker-dealer space partnering with insurance companies and career agency distribution," said Goldberg. "Her extensive expertise and experience will allow us to accelerate our strategic vision of providing holistic retirement solutions to middle-market clients and more quickly expand our operations." Most recently, as President of Ameritas Investment Corp (AIC) in Lincoln, Nebraska, Heilman managed $21.8 billion in customer assets, led the growing insurance company-owned broker-dealer/registered investment advisor, and was an integral part of the company's growth over the past 15 years. During her time at AIC, she also held numerous operations and compliance leadership positions in both life and securities having served as chief operating officer and chief administration officer. Heilman earned a bachelor of science in management from Excelsior College, Albany, New York. She holds the FINRA Series 4, 7, 63, 24 and 53 security licenses. Bankers Life is the marketing brand of various affiliated companies of CNO Financial Group including, Bankers Life and Casualty Company, Bankers Life Securities, Inc., and Bankers Life Advisory Services, Inc. Non-affiliated insurance products are offered through Bankers Life General Agency, Inc. (dba BL General Insurance Agency, Inc., AK, AL, CA, NV, PA).